Owners of properties at Vincenz are quite the lucky ones, what with their tastefully designed residences, lushly landscaped neighborhood, and the plethora of amenities afforded them by their dynamic home town of Gilbert. This charming community is one of the area’s most recently developed, boasting all of the above and so much more! Residents can enjoy the outdoors at the sparkling community pool and spa, or enjoy a BBQ at one of the many available public ramadas scattered throughout. In addition, plenty of tot lots are available for the kiddies! 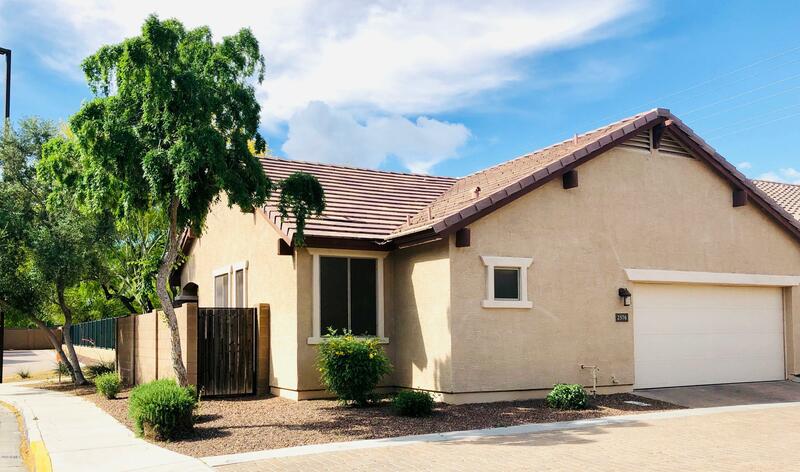 And with a location just east of the San Tan Loop 202 freeway, those who live here are granted convenient access to all of the diversity of the entire Phoenix Metro… Who could ask for a better residential locale? Claim Vincenz as Your Own! If you are interested in becoming an esteemed Vincenz property owner, you’ll be happy to know that good news awaits. Available homes in the community beckon to a bevy of buyer types, one of which may even be you! Courtyard houses present low-maintenance living along with affordability and convenience, in addition to plenty of space for you and your loved ones. There are even green homes to appeal to those whose top priorities include eco-friendliness. Yes, there is truly something for everyone among the listings that comprise Vincenz, so come take a look and discover for yourself just what this charming neighborhood has to offer you!